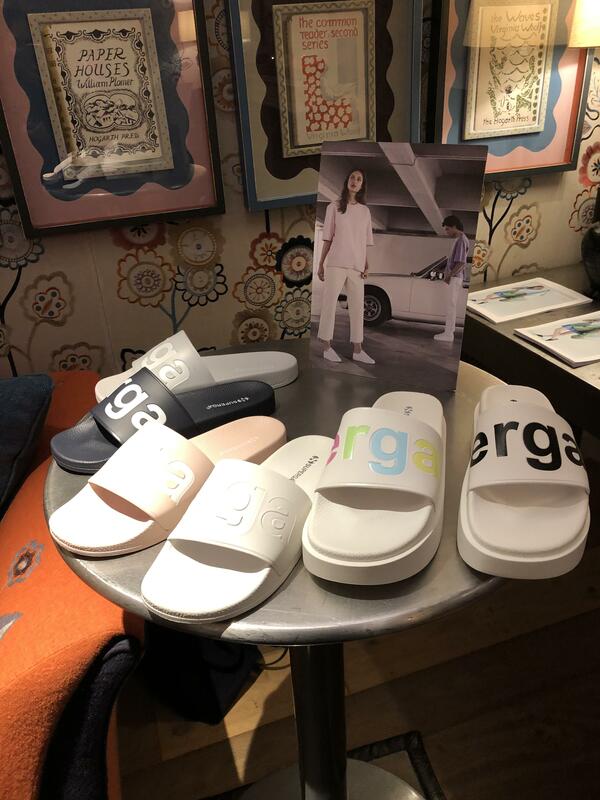 On Tuesday, Amelia and I went to the Superga press day at Charlotte Street Hotel in Fitzrovia, where the Italian footwear brand showed their new collection for SS19. When we arrived, we were very surprised that we actually were the only visitors there, which probably was due to the fact that the timings were from 9am-5pm and we were quite early. 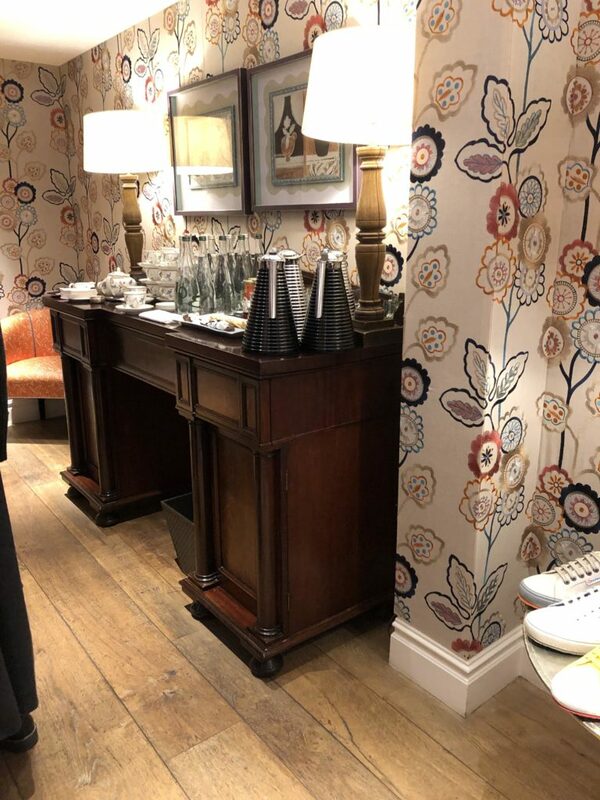 However that gave us the chance to have a close look to the collection which was draped in a small but pretty room. 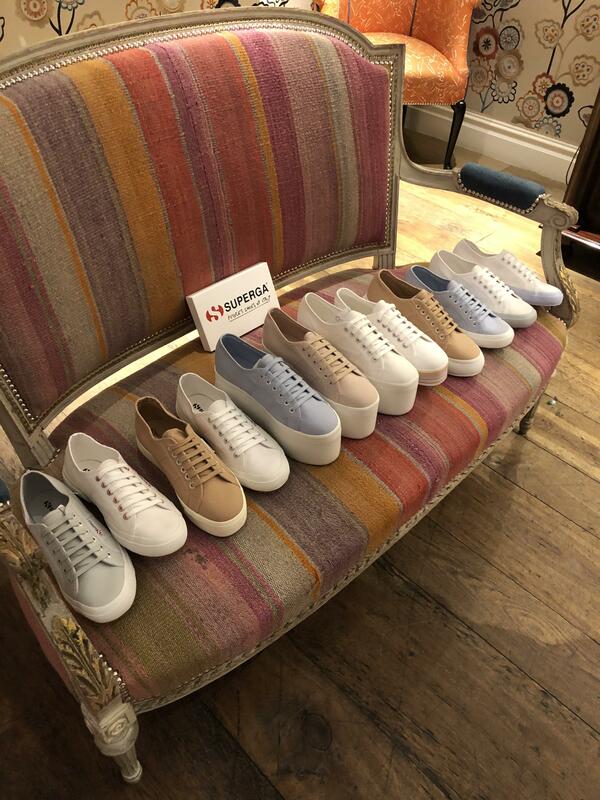 The collection contained round about 15-20 shoes in different shapes and colours, but as for their brand ethos, all of them were trainers with only a few sliders for summer. 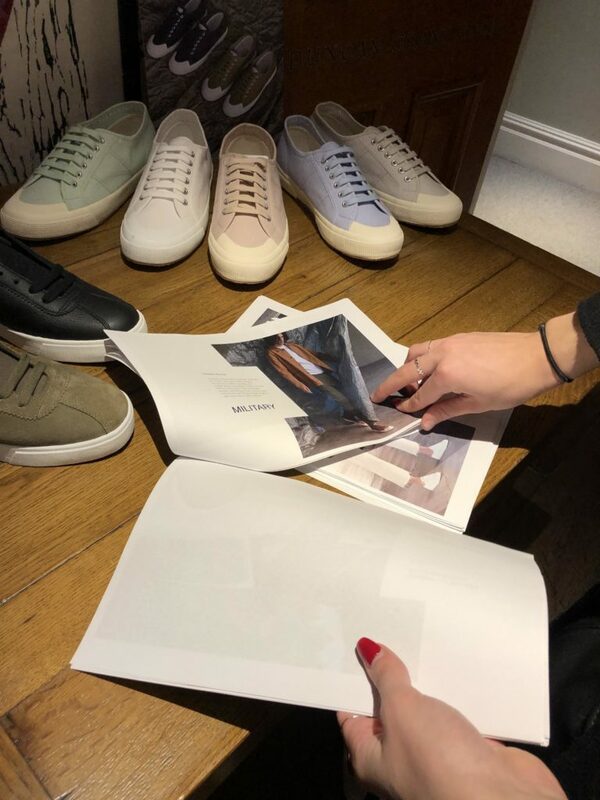 Being designed for SS19, pastel tones, white, yellow, blue, green and black were the dominating colours. 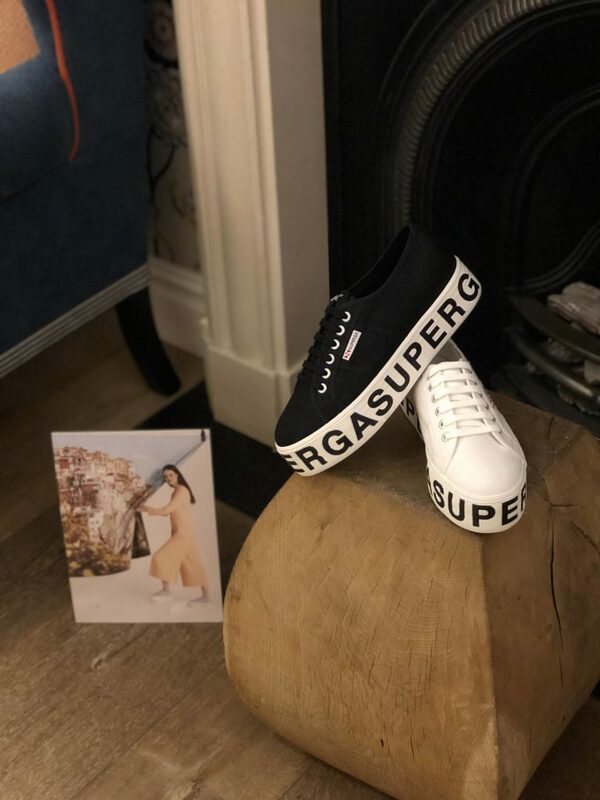 Having talked to Jessica, a lovely lady working for the brand, she told us that the new feature of this collection were the very high platforms, which I personally loved. 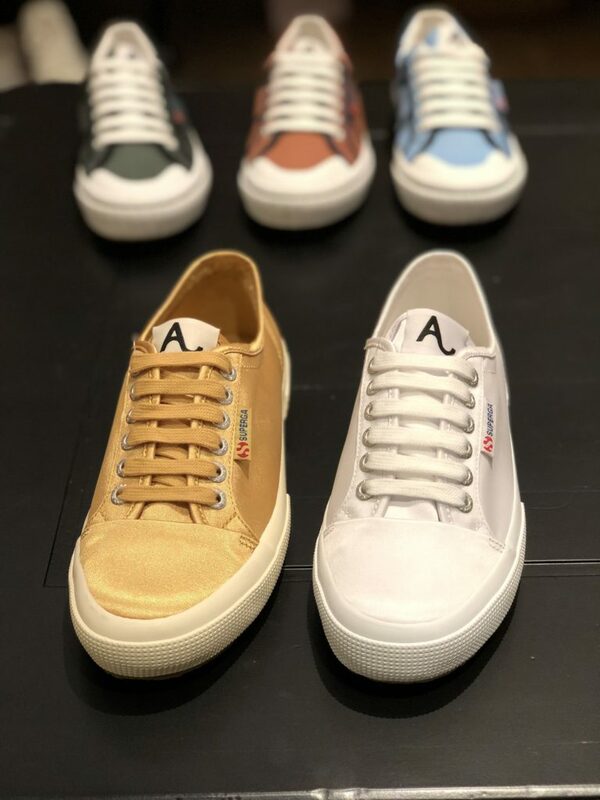 My favourite piece of the collection were the ones that had “SUPERGA” printed all over their quite high platform and I would totally wear them. 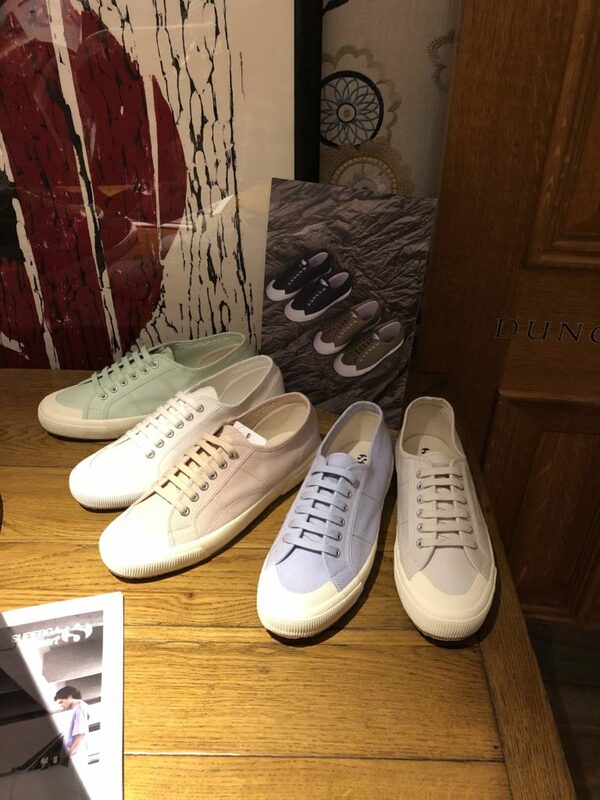 Overall it was great to get the chance to see the new collection, even though it would have been nice if more people would have been there to chat to.